Occasionally here at logworld we post useful pet-grooming tips. 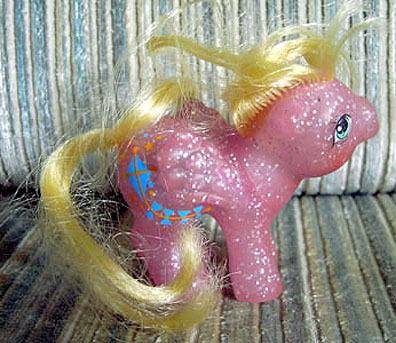 Now, of course we all love to groom that-fuckmop-otherwise-known-as* Little Pony's hair, but don't let's forget to perform the other important business. *thanks forever Capt'n for this timeless phrase. Is this pet getting the kite rapes? Is that why the fuckmop has to be groomed? Really, I love the kite tatoo. no PD, it is all about the bean removal. Love the tag line. Does Logworld handle gerbils too? Of course, PD. Do you have a gerbil that needs servicing? The kite got embedded in LP's rump during the windstorm that made for the fuckmop. Funny you should ask, SLoth, because I can't seem to find my gerbil. I may have sat on him and he took what he thought was an escape route. I am not sure. Sloth, I will never forget the story of the Bean in the Sheath. I think it may be an ancient fable from the Dark Ages, and it really, really makes me want a horsie. An orange one. Noodle, JD... yes, it is a magic trix to practice at home, sure to delight the kiddies. Thanks for the grooming tip Sloth. I will never shake my sister-inlaw's hand again. PD, would you mind sitting on an exercise wheel? I'm bored in here. SUre thing nibbles...I'm bored too. Sitting on peeps on the wheel=PLEASURE. Q: What's your pony's name? ach, Capt'n, how did you intuit the nom du pony like that? you are truly one with the universe, capt'n sir. WHO or WHOM or WHOOT will remove this very large bean that is driving me completely, uh, nuts? That's what I am, now and forever, semi dead. semi dead, you need to take the brown waters today, elixir-like; the hot coffee enema. Nurse Crotchett will write you a prescription.